100 Things to Do in Indianapolis Before You Die | Lonely Planet calls Indy "America's most surprising city." Travel + Leisure says it's "America's next big destination." Come see why. Spring is upon us, and 100 Things Indy has some great ideas to get you out of the house this April. I’ve been on WISH-TV several times lately to share those ideas! Here are two of those clips. This weekend I’ll be signing books at the Indiana Artisan Marketplace at the fairgrounds. Stop by and say hello! The official launch party for “100 Things to Do in Indianapolis Before You Die” is happening Friday, Oct. 12, at New Day Craft in Fountain Square! Stop by from 7pm to 9pm for Indy-themed trivia/prizes and get your book signed! While you’re there, you may as well try a tasting flight of New Day’s meads or hard ciders. (I’m partial to the South Cider.) Hope to see you there! Y’all, I’m so excited to officially launch the second edition of 100 Things Indy, now available wherever books are sold! The mini book tour kicked off this morning with an appearance on Fox59. (Here’s the link in case you missed it.) Check back soon for a complete list of signings, presentations and other events! A brand new edition of 100 Things is coming this fall! It’s been three years since the first edition hit the shelves, and writing this second edition made me realize how much has changed. In the end, seventy of the entries had to be updated, overhauled, or simply replaced. This is a whole new book for a whole new city, and I can’t wait to share it! Travel + Leisure has dubbed Indianapolis “America’s next big destination” for 2017, and with good reason. It’s hard to keep up with everything that’s happening here, including new restaurants and hotels. See a burlesque show at the White Rabbit Cabaret in the trendy Fountain Square neighborhood. These tongue-in-cheek, body-positive shows are perfect for a girls’ night out. Book a private karaoke room at Punch Bowl Social, which recently opened downtown. Not a crooner? Go bowling or play the vintage arcade games instead. You love watching curling every four years during the Olympics. Why not try it yourself? The Circle City Curling Club offers clinics ($30 per person) that nearly always sell out, so reservations are essential. Cooking with kale. Composting with worms. Making your own knitting patterns. Navigating public records. These are just a few of the things you can learn at Trade School Indianapolis. The catch? Payment is via the bartering system. Your instructor might ask you to bring cooking spices, sheet music, bike parts, postage stamps or … well, pretty much anything. Compete in the Linear Bocce World Championships, a game of bocce that rolls along block by block. Neckwear, such as a scarf or a tie, is mandatory because … well, just because. What are your favorite new things to do in Indy? Add a suggestion in the comments! 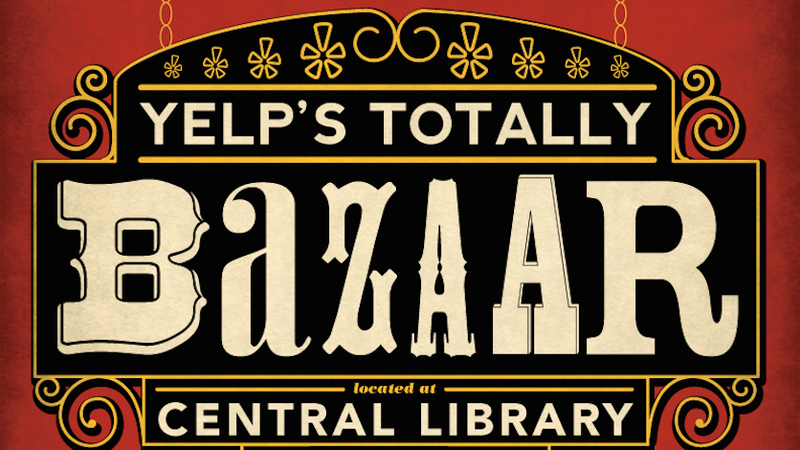 Last December, 100 Things to Do in Indianapolis Before You Die was a sell-out hit at Yelp’s Totally Bazaar, Indy’s best holiday shopping party. If you missed your chance to get a signed copy last year, never fear! I’ll be back this year, along with 130+ other local vendors. Pick up handcrafted soaps, unique jewelry, Indiana-themed items, artisan foods and much more. Stop by and see me, and remember that 100 Things Indy makes a perfect stocking stuffer!